Funeral services for Carl Hunte will be conducted by Rev. G. Horst at the Hack Funeral Home, Thursday (today), at 2:00 p.m. 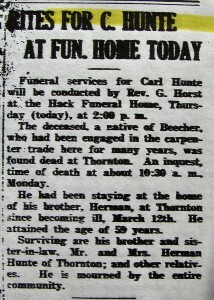 The deceased, a native of Beecher, who had been engaged in the carpenter trade her for many years, was found dead at Thornton. An inquest, time of death at about 10:30 a.m., Monday. He had been staying at the home of his brother, Herman, at Thornton since becoming ill, March 12th. He attained the age of 59 years. Surviving are his brother and sister-in-law, Mr. and Mrs. Herman Hunte of Thornton; and other relatives. He is mourned by the entire community. 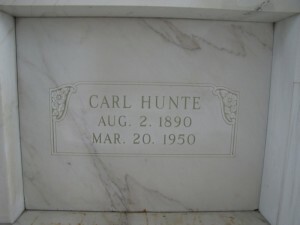 The departed, Carl Fred William Hunte, son of Mr. and Mrs. Henry Hunte, both deceased, was born Aug. 2, 1890. The child of Christian parents, he was soon after birth received into the family of God, through Baptism. April 16, 1905, following a course of religious instruction in the fundamentals of our Christian religion, he was confirmed with five others in St. Luke’s Ev. and Reformed Church by the late Rev. D. Bierbaum. Soon after confirmation, he became clerk in his uncle’s store on the Dixie Highway. Having learned carpentry under his father, he, after the latter’s retirement from active work, carried on his chosen work, first with his brother Albert, and later, on his own. Not only did he become well known in this way but also well liked by all who came in contact with him because of his conscientious work. During the First World War, he laid aside his peaceful occupation and entered the service, May 23, 1918. 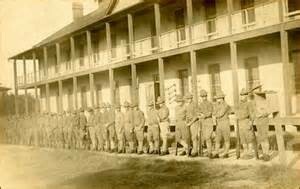 He was granted an honorable discharge on August 29,1919, at Ft. McIntosh, Laredo, Texas. Afterwards he carried on his chosen work in and around Beecher with much success. In the last year or two, his work became more or less a burden because of failing health. He carried on, however, until a week ago when he, together with his brother, Herman, felt he needed a rest which he sought in the latter’s home at Thornton. Here, always heartily welcome and fully and happily at home, he seemingly responded to the loving care and attention accorded him up to his tragic death, Monday, March 20, at the age of 59 years, 5 months and 18 days. Funeral services were conducted, March 23, at 2:30 p.m. in the Hack Funeral Chapel where a large gathering of friends had arrived to pay their last respects. 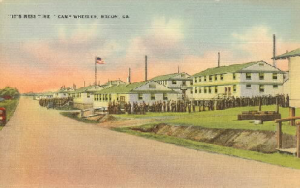 A quartet of Mrs. George Ostermeyer and daughter, Mrs. Edward Lane, Mrs. Hilda Boyens and Mrs. Leona Henerberg, capably accompanied by Miss Joan Kurth, rendered three appropriate songs. Rev. G Horst, conducting the service spoke comfortingly on First Corinthians; 12,13. Beautiful floral pieces, presented by friends, spoke of the esteem in which he was held by those who knew Carl at his best. 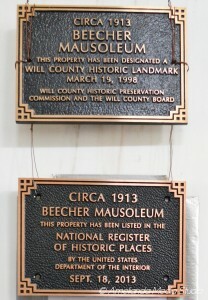 Interment was made in the Beecher Mausoleum. The departed, well known and well liked in this, his hometown, always proved himself fair, upright and honest in all his dealings among his many friends. For years, following the death of his father, he gave loving care and attention to his mother. We, as friends will always remember Carl at his true self and best, and trust in the love and mercy of God that all is well with his soul. To the only brother and sister-in-law, and other near and distant relatives we extend heartfelt sympathy and pray that God may sustain, uphold and comfort them in the coming days and years. This entry was posted in Automated Burial Listing, Burial Listing, Burial Location, HEADSTONE, Obituaries- Have Full Copy, World War 1 (1914-1818) by Sandra. Bookmark the permalink.